This is a story of Morna working her magic again. 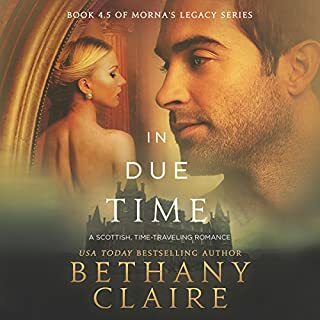 This time it is Eleanor going back in time to save Monroe and his castle. All of the Morna stories are enjoyable and interesting. My only complaint would be that I needed more of Eleanor and Monroe. It was over too soon for me. 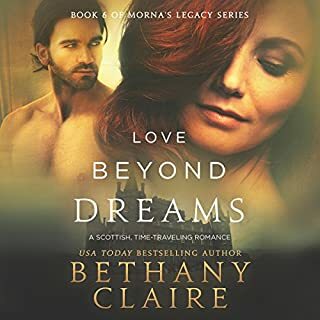 I loved this novella and can’t wait to hear who is next for Morna. I was hoping to hear Kate’s story as soon as she was introduced in the last book. Finally Kate gets her chance at love in Love Beyond Wanting. Of course her story can’t be easy going. Her past struggles provide her with the strength and courage to face the new struggles. I found myself using every free minute to listen to the book. Now I can’t wait for the next book. New StoryIine in the Series! I always look forward to Bethany’s new books. 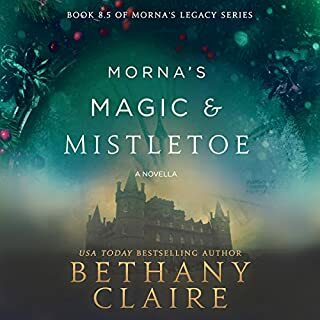 I have enjoyed each of Morna’s matches in the previous stories but this book is a bit different than the others in the series. There is a new storyline twist that was surprising and entertaining. You definitely won’t be disappointed. The book is great but the audible version is even better. I love all of the books in this series. The characters are interesting and likeable. I always look forward to the next installment to see what Morna comes up with next. These Christmas novellas are fun quick reads that are perfect for the holiday season. I love a good time travel book but this one sends a beloved member of the family from the past to the present. I love the switch from past to present. 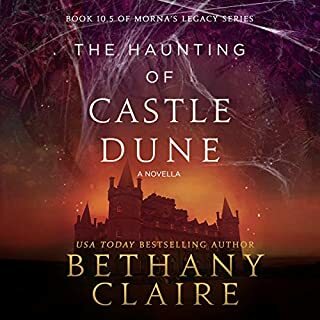 I enjoyed reading the book but the audible version brings the story to life. Five Stars!!! I have been waiting to hear Morna's story and finally we have it. 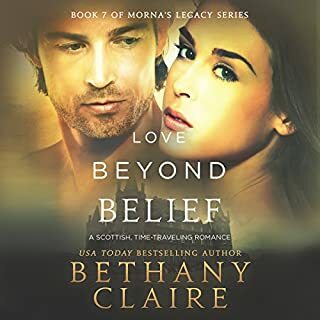 I loved Morna and Jerry's relationship in the past books and I always wondered what their story was. It is obvious that Bethany Claire saved the best for last. The narrator Lily Collingwood brings the characters to life through the audio version. I already read the book but the audiobook is amazing. These books are great to listen to while taking a walk. I found myself taking longer walks because I didn't want to stop listening. 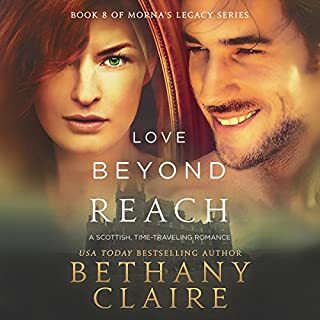 I love all of Morna's Legacy books. 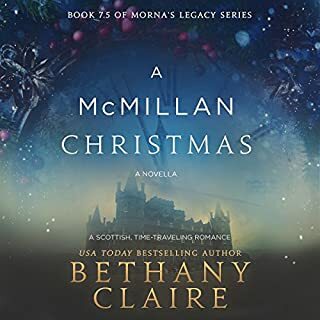 Bethany Claire is an incredible writer that allows you to see the book in living color as you read or listen to it. When I listen to this book, I can actually feel as if I am standing there watching it happen in front of me. This is a great story of Gillian and Orick. I have loved Orick since first reading about him in the earlier books. I'm glad he is finally getting his story told. I love how all if the books continue the stories of the characters in past books. 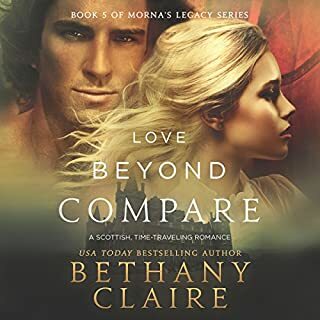 Love Beyond Compare by Bethany Claire is a book that you can easily fall in love with. The narration gives the book life and makes you want to keep listening. I first read the book and then was given the opportunity to listen to the audio version. I thought the book was great but the audio version makes the book outstanding. I love Jane's story and with each book I feel like we continue to get to know the past characters. This is a fun and quick read that is worth the money. You won't be disappointed. I was hoping Jeffrey would find love in this series. 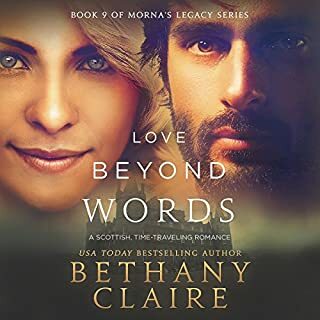 I was excited to see that Bethany's next book was for Jeffrey. I love Cooper and Jeffrey's relationship. I enjoyed all of the books in this series but this one is at the top of my list of favorites. The audio version makes it so much more entertaining and alive. The narrator does an incredible job with each personality.